Working on videos isn’t always as easy as making them. Editing, converting, recreating and enhancing the videos might be a very essential task of our day to day activities but it is not always the easier one. It sounds good to have a video edited within the spur of a moment, but in reality it takes a lot of hard work, focus, dedication and concentration. 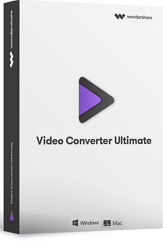 If you are also in need of a tool which simplifies this tedious task for you and makes it as interesting as it can be, then the Wondershare video converter ultimate is for you. This tool not only lets you edit a video but also helps you in converting, editing, downloading, transferring the videos and perform many other tasks miraculously. Not just this, the tool also lets you burn the DVDs easily. The tool can be downloaded easily by following the link: https://videoconverter.wondershare.com. It is available for windows (version 10/8/7/Vista/XP) and for MAC (OS X 10.7 or later). You can either get a free version or buy it for your commercial needs. If you are going for the latter option, prefer using paypal for the same. The official site (in the link above) gives you every detail ranging from the product description itself, to simplified tips to use the product and a helpful user guide too. The tool can prolifically be used for your business purposes too. Easy to use: The tool is user friendly and definitely gives an ease of downloading, installing and running the product for manipulation of videos for various purposes. Menu driven: It gives a menu driven and interactive experience to the user where he doesn’t need to bother about the background proceedings being carried on. The user can smoothly perform his task without any hustles and interruptions. Burn video to DVD: It helps to burn videos to dvd and bluray discs. The wondershare video converter is a “all-in-one” editing and converting tool you need for your videos and for every purpose. The ease with which it lets you work on them is certainly amazing and prolific. Investing your time and money on this is certainly a onetime investment and will give better returns.